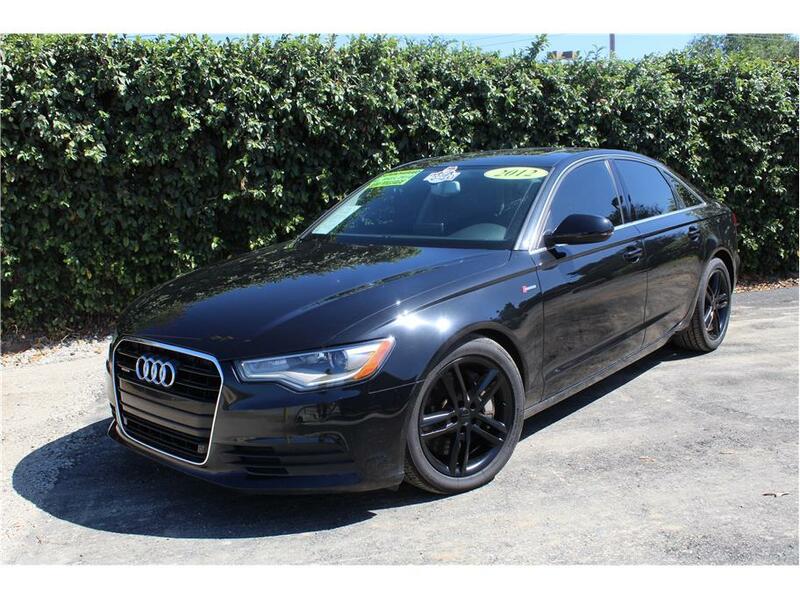 This Sporty, Luxurious Audi A6 Quatro Premium Sedan has a powerful supercharged V6 3.0L engine pumping out 310HP and 325lbs of torque through an automatic transmission which is shift able through paddle shifters. All this with only 69k miles on this stunning sleek car. Our Audi comes loaded with factory features like All Wheel Drive, electronic limited slip differentials in both front and rear axles which make tight corners a breeze, Electrohydraulic power steering, Adaptive Xenon headlights, telescope and tilt steering wheel, Navigation, Audi-Connect, back up camera, front and rear parking sensors, Leather seats, power group, Keyless entry, keyless start, electronic sunroof and spacious room to seat five! This A6 just went through a complete 151 point inspection by a California licensed repair shop and received four brand new all season Pirelli tires, a fresh oil change service, new spark plugs, a new cabin and air filter and fresh window tint. An Audi in this condition can only be appreciated in person. Come by and test drive it today!